AllyG: I can’t blame the no-blogging the last couple of days on BabyG. Truth is, I’ve just been enjoying spending time with him and his nap-less streak hasn’t allowed for much writing. 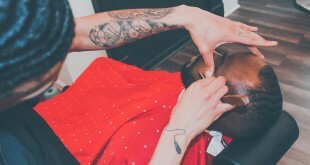 I promise you’ll see a post tomorrow! Till then! It’s kind of Baby Balmain, n’est pas? Also, does this make Carla the most stylish first lady (at least for this week)? 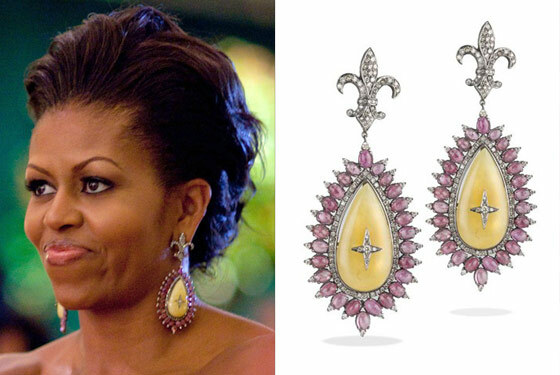 Especially when you think about Michelle’s earrings for the state dinner. I did not care for the earrings, but maybe you’re in love with them. (Bee-tee-dubs: her dress for that dinner was perfection. I did a double take on the cover of the Globe that day).